SELLER HAS ACCEPTED OFFER, WAITING FOR SIGNED DOCUMENTS TO CHANGE STATUS TO PENDING! Featuring four bedrooms and three baths located in Coral Cay Resort! Gated community with many resort style amenities! Recently improved with fresh paint and new carpet. 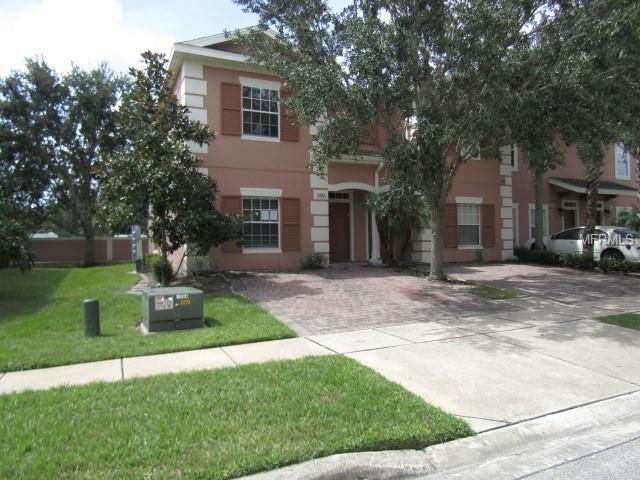 Two story townhome with 1512 square feet of living area! Covered front entry way and screen enclosure patio to rear featuring stone pavers and spa. Ceramic tile and carpet flooring. Living room open to dining area. Kitchen features 42" wood front cabinets and inside laundry utility area. One bedroom downstairs, three bedrooms on second floor including the main bedroom. Coral Cay Resort offers a pool with a view! The pool area offers a Kiddie Pool with playground for the little ones enjoyment. Make sure to check out our hotel clubhouse and private movie theater. Enjoy the Florida sunshine on walking trails around the Coral Cay Resort. It is strongly encouraged that an offer includes POF US Currency if cash and pre-approval if financing and is a requirement for seller's final acceptance. Buyers agent is responsible to obtain current HOA fees, docs, covenants and declarations.